There’s a lot you can do to keep your new Kia in top shape over the many years and miles you’ll be driving after taking it home from our Stamford, CT Kia dealership. But one of the easiest ways to get the most our of your car’s value is to regularly use our on-site Kia Service Center, serving the Greenwich, CT; Norwalk, CT; White Plains, NY; and New Rochelle, NY areas. Whether you have recently purchased new Kia, or have a used car that you want to keep running as long as possible, our experienced, and highly trained technicians will be able to take care of just about anything. From simple maintenance like tire rotations and oil changes, to more involved jobs like brake repairs, we can do it all. Even if you need a light replaced or want to order something else, we’ll take care of that with the help of our dealership’s parts department where we’ll order anything you need. 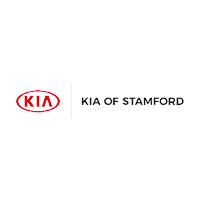 There’s a lot to love about coming over to Kia of Stamford where we’re happy to not only take you for a test drive, but we’ll also help you decide on loan and lease options. Head on over today and see what we can do for you at our service center and beyond. We are the only certified KIA GOLD level service center in the Tri-State area, with the highest customer satisfaction and customer retention.